Fox Narrowboats | Old Bedford river conquered! Home › Blog › Old Bedford river conquered! 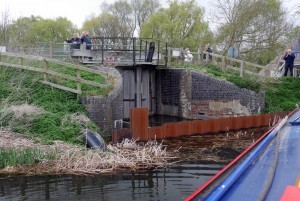 Non tidal access to the historic Old Bedford River was lost in 2006 when the E.A. closed Welches Dam Lock, thus stopping access to a waterway that had been navigated for over 350 years. 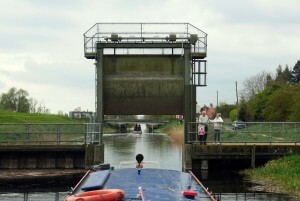 Since the closure various attempts have been made to access the Old Bedford from its outfall into the tidal Great Ouse. In 2009 an enterprising couple, Lois and Roy Parker, succeeded in getting onto the river and through to Welches Dam in their shallow drafted cruiser, but no narrowboat is known to have managed it. On 4th April 2017 veteran of several previous tries, John Revell, lead another attempt in his 41ft narrowboat ‘Olive Emily’. 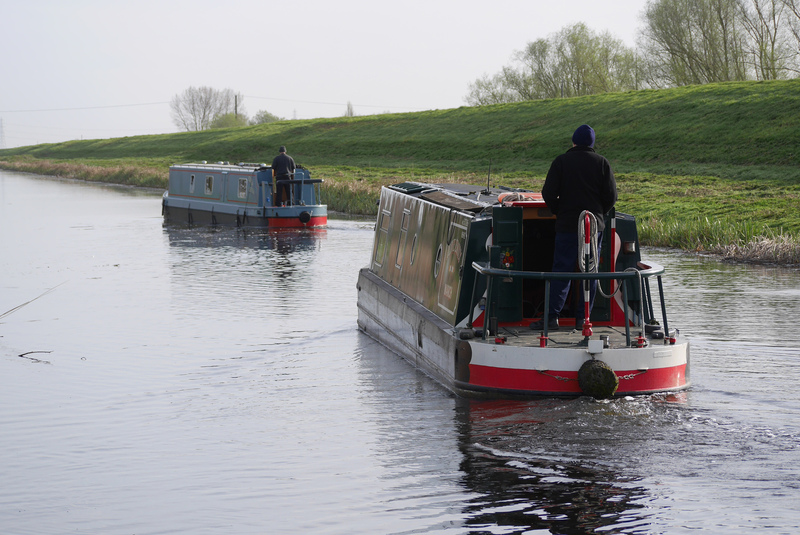 He was joined by Chris Howes in his 45ft narrowboat ‘Lily May’ and Jeff Walters in his 50ft narrowboat ‘ever after’. The boats marshaled at Salter’s Lode lock on the Well Creek. Currently access to the Old Bedford river can only be gained at low water on a ‘neap tide’ (which is the highest low tide, occurring only fortnightly). However because of silt build up at the mouth of the river to the Great Ouse, there is only a few inches of water and the passage can be described as between ‘very difficult’ and ‘damn near impossible’ ! However after much writhing about in the mud, and over an hour of trying, all three boats scraped through. The E.A. had kindly raised the water level in the river sufficient for comfortable passage to be made, and previous problems of cot weed and ‘bottoming out’ were avoided, The E.A. had also lifted the guillotine gate at Welney, which is generally an obstacle to navigation. In the morning the three returned to Salter’s Lode for low tide. Again it was very difficult to get through the sluice gates onto the Great Ouse, but after two hours of trying the happy trio and their mud splattered boats finally made it !